Thank you for visiting our website. We hope you come and hear us sometime! 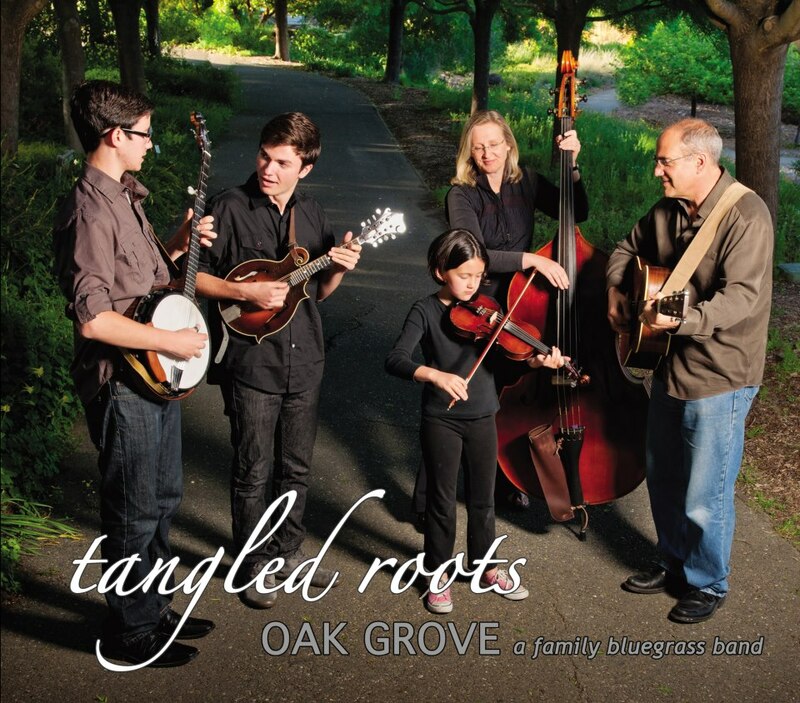 WE ARE PLEASED TO ANNOUNCE THAT OUR NEW CD, TANGLED ROOTS, IS NOW AVAILABLE!!! 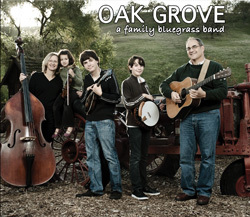 This CD features a diverse selection of new material, with traditional three-part harmonies on straight-forward bluegrass songs, gospel tunes, modern instrumentals, and a single original! Hard copies can be purchased on CD Baby, or email Bob for details on how to have one delivered to your door. Downloads are available on iTunes, Google Play, and Spotify! 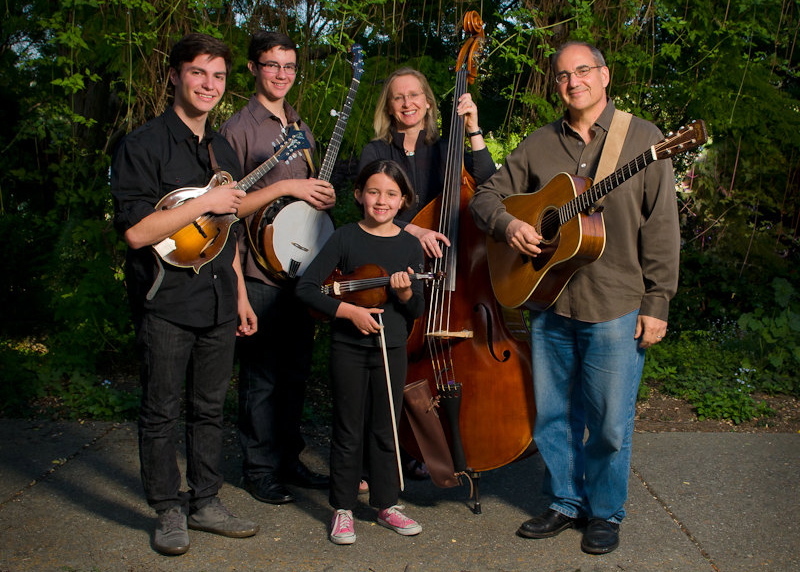 We are a family bluegrass band -- the Schwartz family from Walnut Creek, California, featuring the nimble picking of brothers Nate and Max on mandolin and banjo, and their sizzling little sister, Tessa, on fiddle. Parents Bob and Gail provide solid rhythm on guitar and bass. 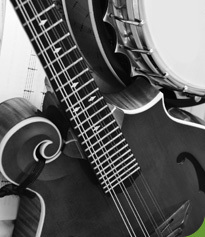 We like a lot of different bluegrass styles -- from the traditional songs of Bill Monroe and the Stanley Brothers to the more progressive styles that Nate and Max are drawn to. We all like to sing, and you're likely to hear several different vocal combinations during one of our performances. We usually play at farmers markets, concert venues and various private events in the East Bay, but during the summer we like to play at California State Parks, and we have played for audiences in Santa Cruz, Marin, and in the redwood forests of Humboldt County. With three kids growing up (and improving) so fast, our sound changes every season, so come on out and catch us (or hire us!) when you can -- we try hard to entertain and we hope you'll be mighty pleased with what you hear. Our first CD is still available as well!